I think the movie Sideways gave Merlot a bad rap. Merlot is still one of Chris’ favorite varietals. There have been some excellent Merlot’s produced over the years and I think that most well known Merlot wines come from France. Pétrus is a Bordeaux wine estate in the Pomerol appellation near its eastern border to Saint-Émilion. An estate of limited size, it produces a limited production red wine almost entirely from Merlot grapes, on occasion with small amounts of Cabernet Franc, and produces no second wine. The estate belongs to the family of the Libourne wine merchant JP Moueix. Although the wines of Pomerol have never been classified, Pétrus is widely regarded as the outstanding wine of the appellation by consensus, and leads a duo of Pomerol estates of extreme prices, along with Le Pin, that in the modern era are consistently among the world’s most expensive wines. Chris and I have scheduled a trip to Bordeaux in the summer of 2014. One of our favorites is Cheateau Lessague, which also resides in the Saint-Émilion region. I am going to do my best to set up a tasting at Pétrus and if all goes well I think I will earn some brownie points with Chris. 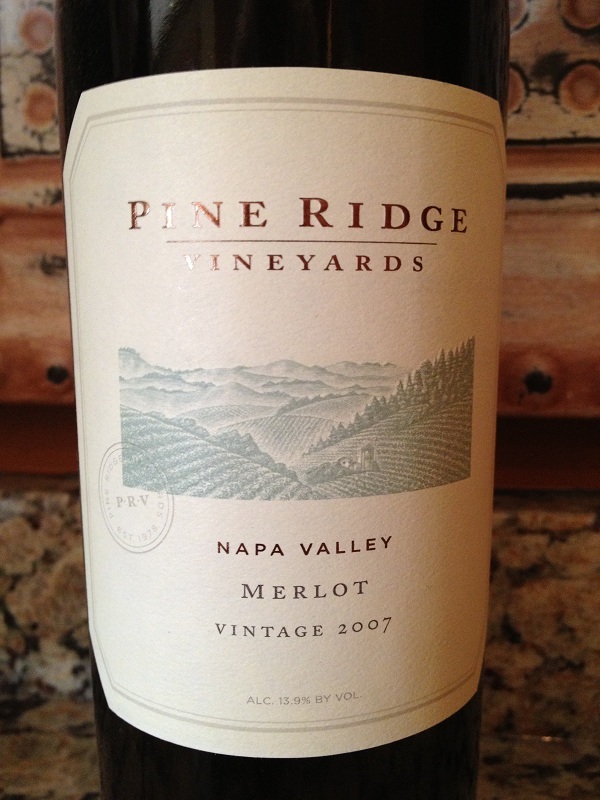 So back to the 2007 Pine Ridge Estate Merlot. 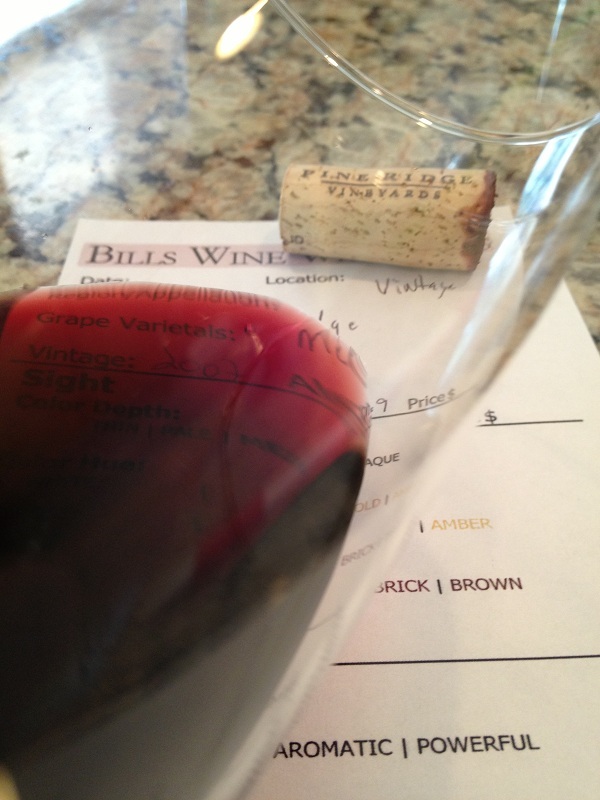 The vintage Merlot had a medium to deep color depth and a nice garnet color. There was no sediment in my glass or the bottle. I would guess the wine was filtered prior to bottling. After some swirling in my glass the vintage Merlot was very aromatic and it smelled fruity. It seemed middle-aged while I noted blackberry, blueberry, oak, and caramel. My initial taste was dry and full-bodied, but the acidity was right on. The tannins were medium but soft with the flavor intensity being medium. It was really a good tasting Merlot. I continued to taste blackberry, black cherry with a rich, long and silky finish. How much: $45 before the wine club discount. I rated the 2007 Vintage Merlot three glasses.